This is the second set of comments reported out from the research survey. Here the comments focus primarily on research priorities around copyright reform, users’ rights, and enforcement. Part 1 provides an explanation of the survey and selection principles, plus some overview comments. Part 3 looks at patents, health, and trade. 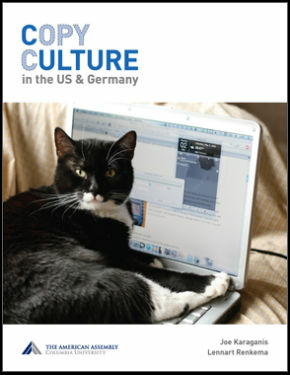 Part 4 explores creative economies and practices. Part 5 looks at issues of capacity, communication, and history in the field. As before, if you want to submit a couple paragraphs about research priorities for the field, here’s the place to do so. We’ll publish them back out. Reframing exceptions and limitations to copyright as users’ rights should be the top target globally. The Marrakesh VIP Treaty is a good starting point. Among other issues, I’d also highlight net neutrality and Internet governance, for we are about to lose the Internet to the telcos, which would represent the end of the Arab Spring, and of a much freer society globally. Network collaboration is essential. The greater collaboration between academics, NGOs and government officials since the passage of TRIPs has substantially increased the capacity of all players to learn and influence policy, both nationally and globally. I strongly suggest that these networks continue to be strengthened via regional and global conferences, and also via collaborative research projects, aimed at influencing public policy nationally and globally. The Colombian debate on freedom of expression on the Internet is in its infancy, characterized by a mid-stream shift from traditional to digital and internet media, and a range of restrictive Internet proposals driven by the new Free Trade Agreement with the US—especially but not limited to the blocking and removal of content. We want to find means to support regional community media to advocate for their right to freedom of expression in view of these regulatory risks. Given Colombia’s history with drugs and “terrorism” and the fact that it is surrounded by the “socialism of the XXI century”, there are multiple stakeholders pushing to expand the digital security state, including expanded surveillance measures across all areas of Colombian society. There is an urgent need to build capacity within civil society to monitor and intervene in these developments. The next big issue at WIPO is going to be exceptions and limitations for education. This is a critical area given the possibilities opened out by distance education, and I am hoping to focus on it for the next few years. I’ll also be trying to contribute to and organize work on several other issues, including the decriminalization of individual use and the scope of exceptions and limitations for cinematograph films. Monitoring the changes surrounding the Copyright Amendment of 2012 in India will also be a priority. We are in the midst of what can be seen as a range of progressive policy changes around these issues and we would like to track them in terms of impact, dilution and challenges. (1) While there is a lot of discussion around the drafting of IP provisions in international treaties, and much advocacy, less attention is paid, in general, to domestic context and implementation. So one of my ambitions is to do the work that gives meaning and content to enforcement provisions in IP treaties: looking at the case law, looking at the domestic law changes that are brought in, looking at the background principles (e.g. in civil and criminal procedure) against which such provisions will be interpreted/applied ‘on the ground’. I can do this in Australia, or for the UK – it would be great if other people were interested in doing similar work in other countries that are less accessible. One possibility would be co-authored work in this space: picking a few issues (e.g., seizure of infringing implements; assessment of injunctions; assessment of damages; border provisions) and looking at how they are managed across a range of countries. But it requires working at the intersection of IP and civil procedure and so is not at all straightforward. If there were other people interested in other (non-English speaking) jurisdictions, it’s something that could be done – small scale (ie a small group of individuals) with a 2-3 year timeframe. (2) Empirical and interdisciplinary projects that look at what happens on the ground: how people use technology; how they access content (or don’t access content); what the barriers are for disabled or remote communities. Such analysis is incredibly important as it gives context to IP provisions and can provide the evidence base for legal reform. 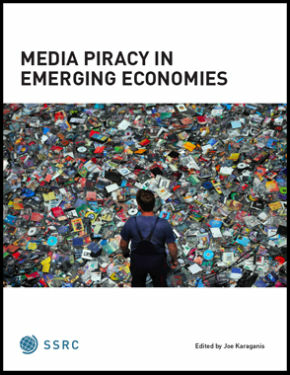 This would have to be more large scale – I’m imagining projects of the kind of scale of the Media Piracy project work on markets for infringing materials, targeted at that issue but also possibly others. One possibility might be a project looking at access to material for the disabled and tracking how/whether Marrakesh is effective, but also just looking at the ground at what some of the real barriers to access are. Another project along those lines that might be useful would be one that built the evidence base for other international treaties on exceptions – e.g. for libraries or education. But I’m less familiar with what’s already been done in that space. One is the rise of an infrastructure of control: we see more filtering, blocking and monitoring for the purpose of copyright enforcement (e.g., Content ID, DPI). These practices should be subject to legal scrutiny and secure due process. Another issue is the weakening power of users at the network ends. This is linked to the rise of online mega platforms, cloud computing, the shift in content distribution from products to services and the dominance of private ordering. Overall, these developments keep the ends with less control over the type of information that could be shared and accessed, and especially over the terms for doing so. Finally, we should be worry about the collaboration between governments and online intermediaries in law enforcement tasks, without sufficient legal oversight (what my co-author Michael Birnhack and I named a decade ago the Invisible Handshake). This government-market cooperation is becoming an important tool of governance and it is most likely here to stay. Overall, those shifts put us at a turning point: this is not simply about access to information, it’s actually about freedom, and we currently lack the legal safeguards for securing it. Despite the wealth of research on the role of intermediaries in the enforcement of IP infringement, there is need for greater analysis of the private-sector enforcement of infringement on the Internet, both for copyright and trademark infringement. The role of security firms that specialize in the online monitoring and policing of IP infringement requires greater scrutiny. Another topic of particular interest is the use of voluntary regulatory agreements among Internet firms (e.g., Google, PayPal, eBay, GoDaddy and Taobao), rights holders and industry groups in the United States and United Kingdom. These agreements involve Internet firms voluntarily withdrawing their services (e.g., payment processing1 from targeted websites on behalf of rights holders. A related area of research is the extent to which Internet firms (e.g., Google and PayPal) have the capacity and autonomy to shape, set and enforce global norms in relation to intellectual property. 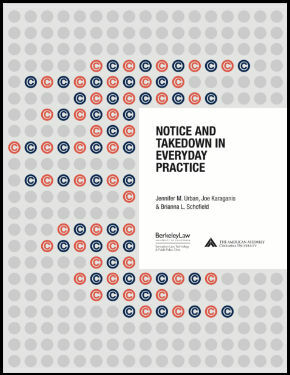 Internet firms have varying degrees of discretion to determine what actions or behaviours to police and how, and what sanctions (e.g., banning repeat offenders) to impose. Sherwin Siy, Public Knowledge, USA. I’m particularly interested in the costs created by assuming the validity of terms of service and end-user license agreements. There has been some good research on the costs of privacy policies (Aleecia MacDonald’s, for instance). I would love to see more on other types of contracts of adhesion. Given that the concessions demanded in these agreements are frequently quite significant, it would be interesting to parse the costs of reading them, given the manner (language and timing and format) in which they’re represented. I would also like to see more work on civil forfeiture as it’s applied in and out of the tech and IP sectors. Prior to concerns about server and domain name seizures, most of the coverage had been in the context of drug laws. There may be fruitful parallels to be investigated there. Finally, and more speculatively, I’m interested in the growing use of IP licensing as a mechanism for tax avoidance by IP-intensive companies (via such strategies as the ‘Double Irish’). Although this is often approached primarily as a tax issue, there might be an interesting IP research governments, in theory, at least, get to determine the contours of IP and its alienability and licensability in the first place. Our focus will continue to be copyright reform efforts in the US and elsewhere, with particular attention (though the Berkeley Digital Library Project) to empirical and legal research to inform policy recommendations for revising library privileges. 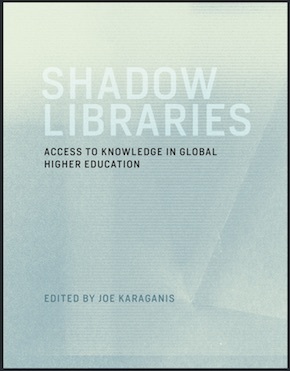 More generally, we need more: (1) Empirical work on the extent of the orphan works problem and the costs and benefits of different solutions; (2) Empirical work on the costs and benefits of copyright secondary liability rules; (3) Empirical work on the copyright alert system in the US and 3 strikes programs elsewhere; (4) Analysis of the costs of the US enforcement agenda and whether it is being effective or overly so. We will be holding a major conference on “The Next Great Copyright Act?” in April 2014 to explore many of these issues. I’d like to see work on the magnitude of deadweight loss of transaction costs for title search (e.g., orphan works in copyright and indexability problem in software patents) with eye towards realistic policy proposals to compensate legitimate rightsholders (e.g., orphan works legislation that amounts to opt-out compulsory licensing held in escrow). I’d also like to see work approaching Tabarrok’s model of variable length patents. The copyright reform process needs better answers to many questions. How does copyright foster and/or impede economic growth, differentiating by industry to the extent possible? How does fair use/fair dealing foster and/or impede economic growth, differentiating by industry? How does fair use compare to “limitations and exceptions such as fair dealing” in terms of how effectively they foster secondary innovation and expression (e.g., fair use is broad and flexible but can be vague; fair dealing and other exceptions are more specific but perhaps ultimately more narrow).